...olor: #cc99ff;"ministry that is as much more excellent than the old as the covenant he mediates is better, since it is enacted on better promises. What makes the ministry of Christ better is not only the amazing person and worth of the Lord Jesus Christ, our precious and loving Savior, but it is also the New Covenant promised in Jeremiah 31:31-34. It is a covenant which is not a ministry of Condemnation, but of life and righteousness (2Cor. 3:9). The promises of the covenant include, but are not limited to, forgiveness of sins, the personal and salvific knowledge of God for everyone in the covenant, the writing of God's law upon the heart and not stone, the Lord becoming our covenant God and we His covenant people in an intimate way (Heb. 8:10-12). Christ is the great High Priest of God's people. He is a priest not after the order of Aaron and Levi, but of Melchizedek, the priestly king. This was necessary because of the failure of the Mosaic Covenant and the Levitical priesthood. He has made atonement for His people. He intercedes for us and stands as the bridge between God and His people. He intercedes and prays for us and on our behalf before the Father on the basis of His finished work. See paragraph 10 for our benefit from this office. Deut. 18:15-18 “The LORD your God will raise up for you a prophet like me from among you, from your brothers—it is to him you shall listen— 16 just as you desired of the LORD your God at Horeb on the day of the assembly, when you said, ‘Let me not hear again the voice of the LORD my God or see this great fire any more, lest I die.’ 17 And the LORD said to me, ‘They are right in what they have spoken. 18 I will raise up for them a prophet like you from among their brothers. And I will put my words in his mouth, and he shall speak to them all that I command him. 19 And whoever will not listen to my words that he shall speak in my name, I myself will require it of him. It is by the law that we know what sin truly is. There is no sin without the law (see above). It shows us our sin and therefore what judgment awaits us. Without the law there is no true understanding of salvation for we must understand that we have broken God’s law and have come under His Condemnation. What Jesus does is to take the curse of the law upon Himself in our behalf and obey the law perfectly also in our behalf. What God does is He imputes that perfect righteousness of Christ to His elect and therefore God sees wretched sinners through the perfect righteousness of Christ. Amazing grace! Only faith in Jesus Christ saves. Law-keeping does not save, but true and loving law-keeping demonstrates that one is saved and loves God (1John 5:3). The law shows us our sin and therefore drives us to the cross again and again. When we are at the foot of the cross we receive forgiveness and then the cross points us to our duty in the law towards God and man. Law and Gospel are not contrary when used rightly, but more on that in paragraph 7. ...had already said things concerning the Covenant of Works, while the sister confessions do not in the respective chapter (compare 6:1 here). that divinely sanctioned commitment or relationship God imposed upon Adam, who was a sinless representative of mankind (or a public person), an image-bearing son of God, conditioned upon his obedience, with a penalty for disobedience, all for the bettering of man's state. Here we have the following: 1) sovereign, divine imposition; 2) representation by Adam (i.e., federal or covenantal headship), a sinless image-bearing son of God; 3) a conditional element (i.e., obedience); 4) a penalty for disobedience (i.e., death); and 5) a promise of reward (i.e., eschatological potentional or "betterment"). ...to be and was unrestrained by anything outside of Himself. For the manifestation of his glory, which is the primary goal and end of everything that God does, God has both predestined to life as he has to Condemnation. To the praise of his glorious grace (Rom. 9:23; Eph. 1:6), the Sovereign God has predestined and foreordained to eternal life some men and angels. Not all are predestined to life and blessedness with God. The Confession is carefully following Scripture when it includes angels among those predestined unto life because 1 Timothy 5:21 speaks of “elect angels”, yet many things remain unrevealed about this election of angels. This predestination to eternal life was through Jesus Christ (Eph. 1:4). It is through and in Him that we were chosen and predestined unto eternal life as Ephesians 1:4-5 also teaches. He was our Federal Head and our High Priest, even from eternity. As foreordained unto eternal life, we were never considered without reference to Jesus Christ. As to the rest of men and angels, they were left to act and live in their sin to their just Condemnation (Rom. 9:22). The predestination unto Condemnation and death is a passive act of God (also called reprobation). He leaves those to act in their sin, leading to their just Condemnation for their sin and rebellion against God. He does not give Jesus Christ as their Head, neither does He send His Son to die in their place or give them His Holy Spirit. In redemption, God is getting His hands nailed in Jesus Christ. In reprobation, God is leaving those in Adam to their just Condemnation. Therefore, predestination unto life and predestination unto death are not symmetrical. Even reprobation is to the praise of His glorious justice, just as Scripture teaches (Rom. 9:22-24). Everything that God does and has done has been for His glory above all things because He is the only and highest motivation He can have. When we do things, we try to do them for the glory and honor of God because He is the highest standard and the One worthy to be thanked and blessed. He is the Most High! God has no one higher than Himself, He is the standard, He is the highest, and that's why He swears by His own Name (Heb. 6:13). Notice that on the basis of 1 Timothy 5:21 elect angels, and not only men are included in the Confessional statement, which is astounding. God had absolute control and determination over the Fall and rebellion of Satan and it could not have happened unless He decreed, ordained, willed and permitted it. ...The freedom and liberty which Christ hath purchased for believers under the gospel consists in the freedom from the dominion of sin, the punishment for sin and the free access (Eph. 2:18; 3:12) which we received through Christ to God. Furthermore, our obedience to God and His commandments is not out of slavish fear (1John 4:18), but a child-like love and willing mind (Rom. 8:14-15). We obey because we love our Father and not because we are afraid of how He might punish us. In our obedience there is reverence, but no fear of punishment or Condemnation. 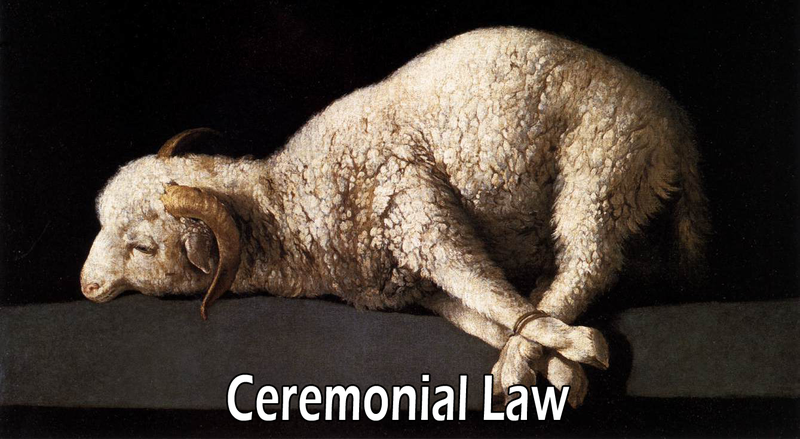 All these things were common also to believers under the law although those living under the law were still under the yoke of a ceremonial law (e.g. Col. 2:16-17), which believers under the New Testament are not. With the doing away of the ceremonial law, our we have a greater boldness of access to the throne of grace (Heb. 4:16) now that we know what Christ has accomplished and what it means for us. The Spirit of God is more fully communicated to us with His gifts and graces than believers under the law did ordinarily partake of (John 7:38-39). There are no believers without the Holy Spirit, but under the New Testament, there is a fuller communication of the free Spirit of God. ...em Him. Paul states that the purpose of us all appearing before Christ is “so that each one may receive what is due for what he has done in the body, whether good or evil” (2Cor. 5:10). The wicked will be paid back for their wickedness (Col. 3:25), and the righteous will be paid back for their righteousness (Eph. 6:8). ... His Son (Rom. 6:23), how and on what basis will God revoke His gift? We're not even talking about the Arminian idea that people have the ability and choice to either accept or reject the gift of God, but we are talking here about those who have (supposedly) already received the gift and have fallen away from the faith. According to this idea, which maintains that eternal life is a gift from God, but could be lost or forfeited, then we would say that it is given by grace but maintained by obedience. But how is this not a works-based damnable gospel which the Scriptures (e.g. Galatians) warn against? Having eternal life means not entering into God's judgment and coming under His Condemnation, but rather going from spiritual death to life eternal with God in the present and also in the future (John 5:24). How does this fit with the idea of people losing their salvation? Do they after losing their salvation go from life back into spiritual death? Do they now enter into the judgment of God? Do you see what impossible ideas this doctrine of losing one's salvation leads to?